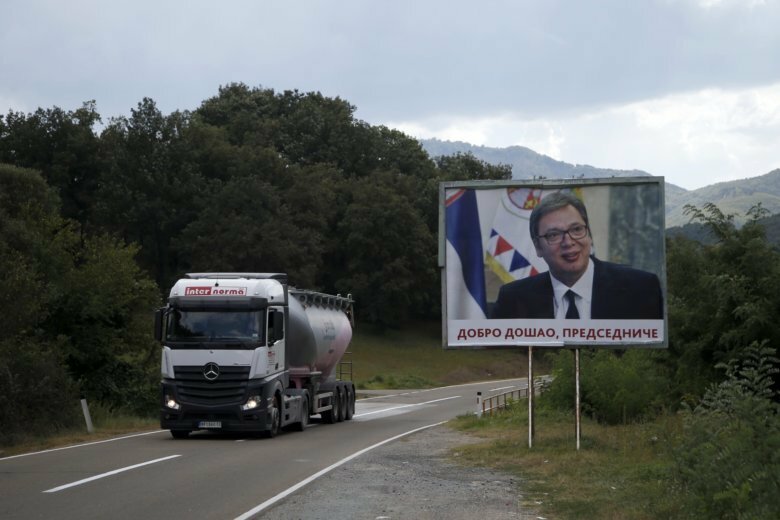 TIRANA, Albania (AP) — Kosovo’s government says it will put a 100-percent import tax on all goods imported from Serbia and Bosnia as diplomatic tensions rise. Wednesday’s decision appears to be retaliation against what Deputy Prime Minister Enver Hoxhaj said was Serbia’s “aggressive campaign against Kosovo on the international stage.” A day earlier, Kosovo failed to join Interpol because of what it claimed was campaigning by Serbia. “That was a very aggressive stand from Serbia,” Prime Minister Ramush Haradinaj told a news conference. The tariffs come into force immediately. They don’t apply to international brands produced in the two neighboring countries. Haradinaj said that Serbia and Bosnia had never respected the Central European Free Trade Agreement, or CEFTA, rules in trade relations with Kosovo, causing significant financial losses. Earlier this month, Kosovo introduced a 10-percent tax on goods from Serbia and Bosnia, neither of which have recognized Kosovo’s 2008 independence. Serbian President Aleksandar Vucic called a meeting of the national security council, Serbia’s top security body, to address the issue. He said after the meeting that Kosovo’s move amounted to a de-facto trade ban, but that Serbia won’t retaliate. Despite simmering tensions between Serbia and Kosovo, business ties have grown and Serb imports to Kosovo amount to about 400 million euros ($460 million) a year, while Kosovo’s exports to Serbia are much lower. Serbian Trade Minister Rasim Ljajic said Kosovo’s move was as a result of its failure to get an Interpol seat. Bosnian Foreign Minister Igor Crnadak likewise called the tariff “payback” for the Interpol decision. Kosovo and Serbia have been in European Union-mediated negotiations for seven years. The EU has told the two sides they must normalize relations as a precondition to entering the bloc. Vucic has said that Serbia won’t take part in talks until Kosovo lifts its recently introduced taxes. “It is 20 years since the war, 10 years from independence, and Serbia has not shown the good will to normalize ties,” Haradinaj said.